About Us Who are Redbrick Construction?. Home extensions in Sutton Coldfield, Builders in Sutton Coldfield, Tamworth, Birmingham and Lichfield - Redbrick Construction is a Midlands based building company that specialies in home extensions that add value to your home. Our builders are reliable, committed and hard working, something that is hard to find these days. 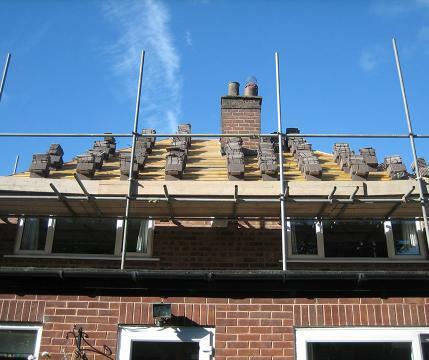 Home extensions in Sutton Coldfield, Tamworth, Birmingham and Lichfield. Redbrick Construction is owned by Michael Powell, who has been working in the construction industry for over 26 years. Michael served his apprentichship with the UK's leading building and civil engineering company Mc Alpine and achived Advanced Craft in Building. After travelling the world and working on some huge building and construction projects he decided his real passion was actually somewhere closer to home in the Midlands. Michael has always wanted to set up a business of his own with the sole aim of providing local families with a reliable, committed and hard working builder - something that is very hard to find. Over the last few years Michael has built a very trusted and close-knit team of specialists in house extensions around him that have worked very hard to build a trustred reputation throughout the local community. Everyone who works for Redbrick Construction cares a great deal about setting and meeting high standards on time. Clients trust Michael and Redbrick Construction for house extensions, not only do they do a "good job" in home extensions but they recommend their building services to all their friends and family. That is the proudest accolade of all. Click here to view some of Redbrick Construction's recent projects and testimonials from local families looking to add value to their homes. With the economic downturn more families are choosing house extensions and renovation for their existing homes instead of purchasing a new property. So whether you are looking to create some extra space for a growing family or want to spruce up your driveway with a garage, Redbrick Construction are here to undertake the house extention project in Sutton Coldfield, Tamworth, Birmingham and Lichfield with a great deal of inspiration, quality and care. The rear extension to this property has increased the size of the Lounge and Kitchen. This is an single example blog post?